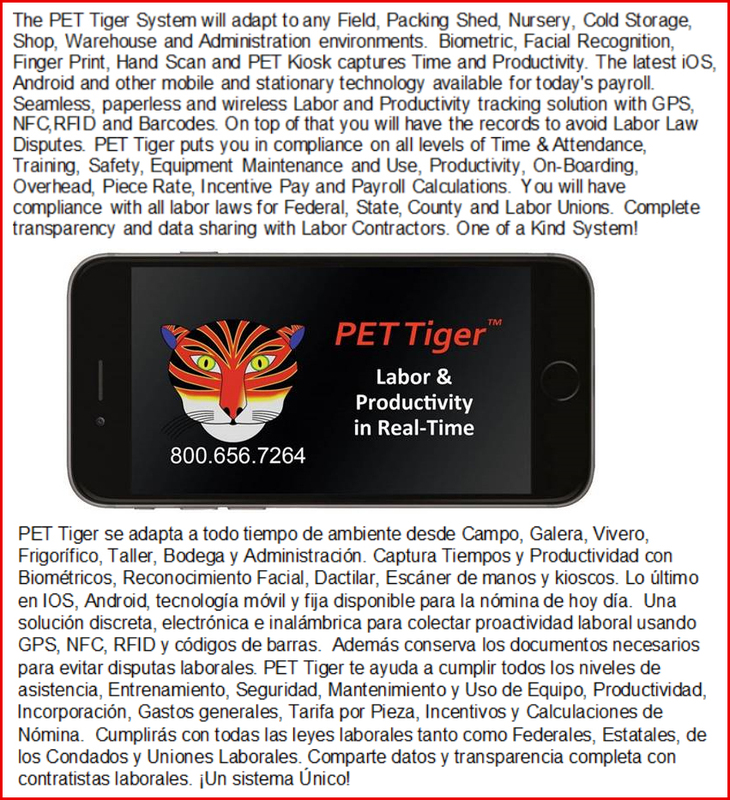 Complete transparency with incentive pay, motivation and real time broadcasting to employees, managers, receiving, office and business partners. 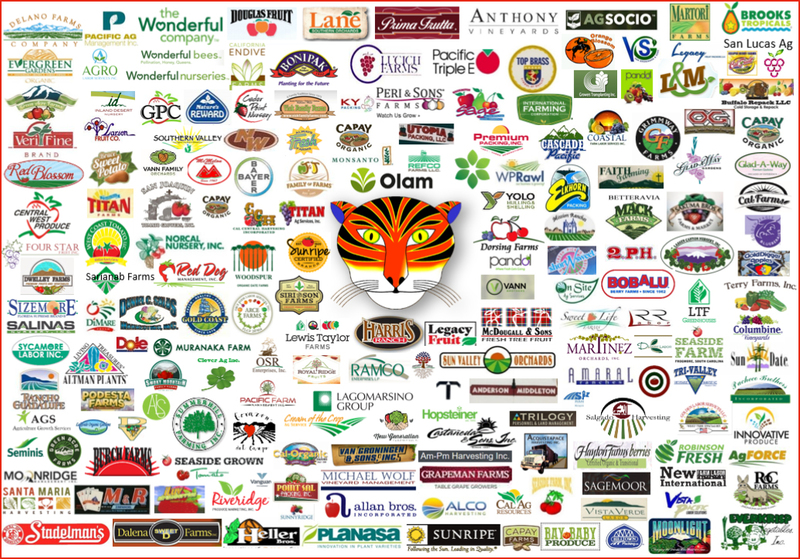 Orange Enterprises, Inc., operating from Fresno and Oakland, California since 1984, provides software solutions for thousands of customers. 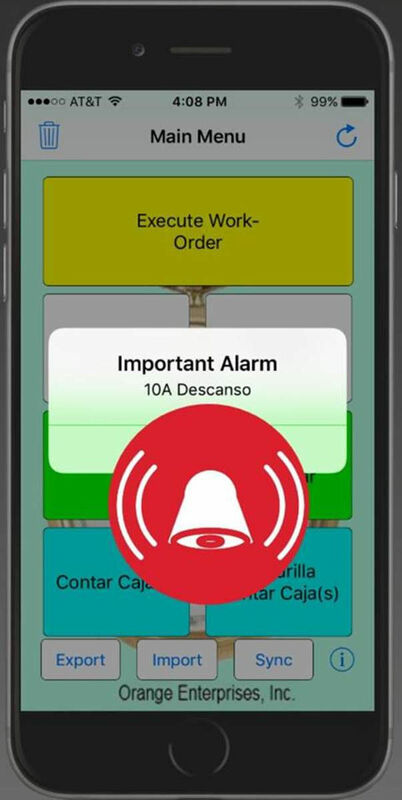 We can plan, install, setup, train your staff and review your business processes. 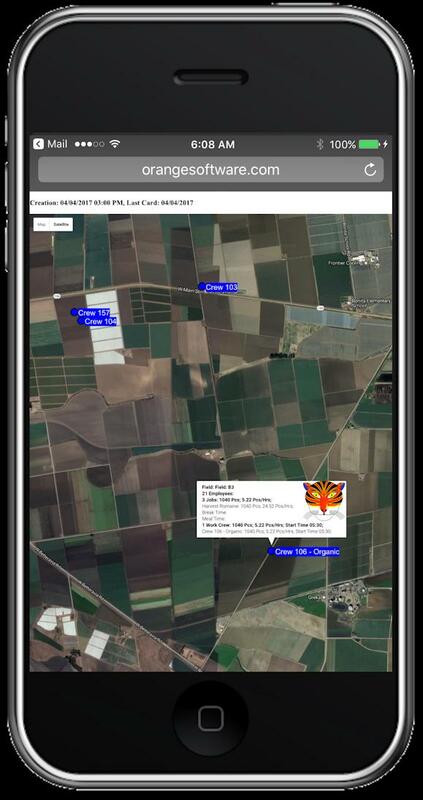 This is followed with telephone and online real-time support or on-site visits by our staff. Please give us a call 800.656.7264 or Email. Bio identification in the field! Clock-in with a snap of a face. 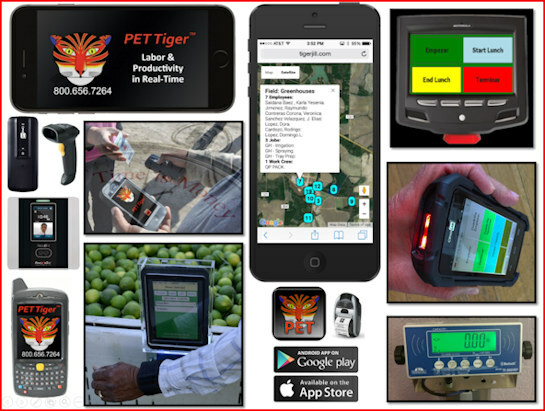 Our versatile mobile PET Tiger app tracks hours, pieces, equipment, locations and activities. Just snap a photo at clock-time to approve identity. 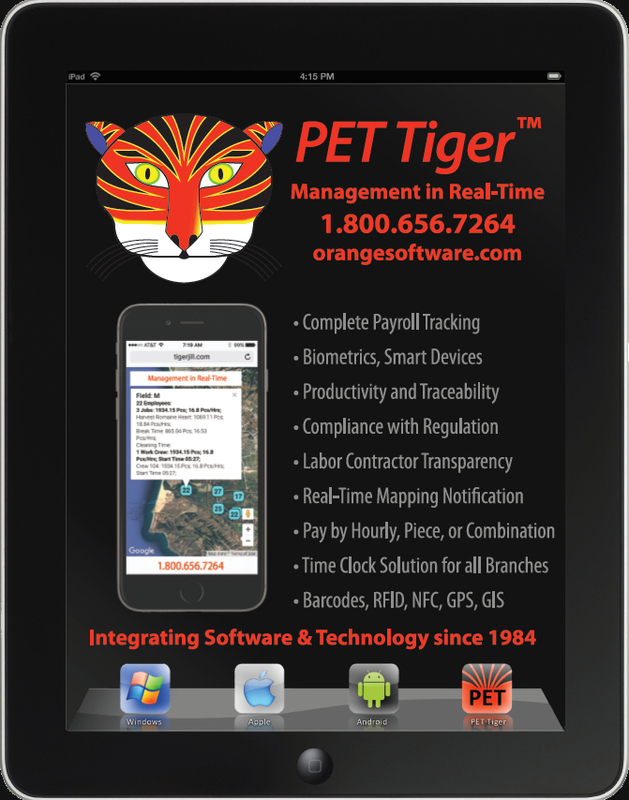 Manage with a Click.. Real-Time transparency..
We will tailor the PET TIGER SYSTEM to your unique operation. 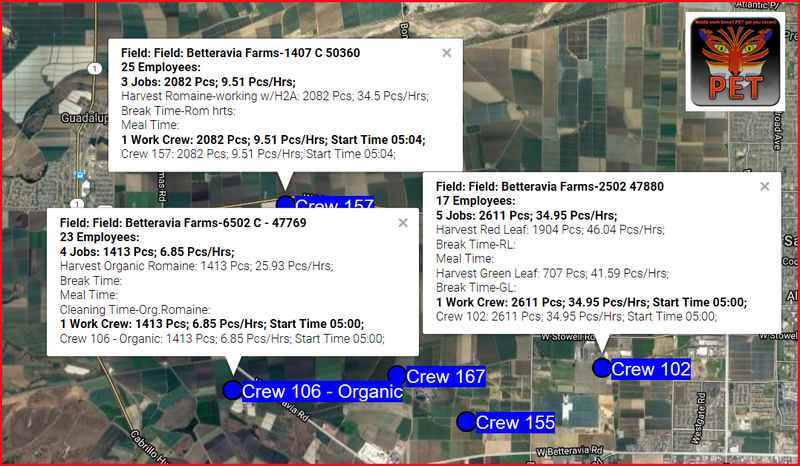 And assist your employees in using the system in the field and the office. 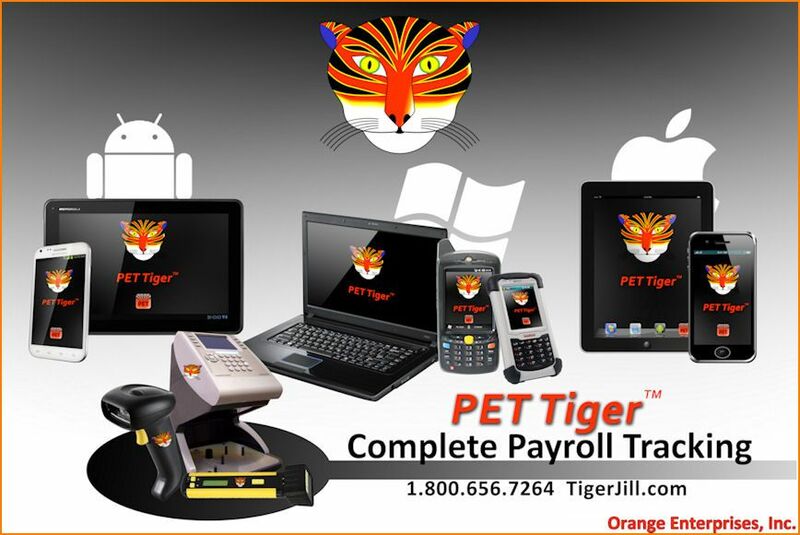 PET Tiger incorporates the newest mobile technology into todays payroll accounting software giving its users a seamless, paperless and wireless labor tracking solution with GPS, NFC, RFID and Barcodes. 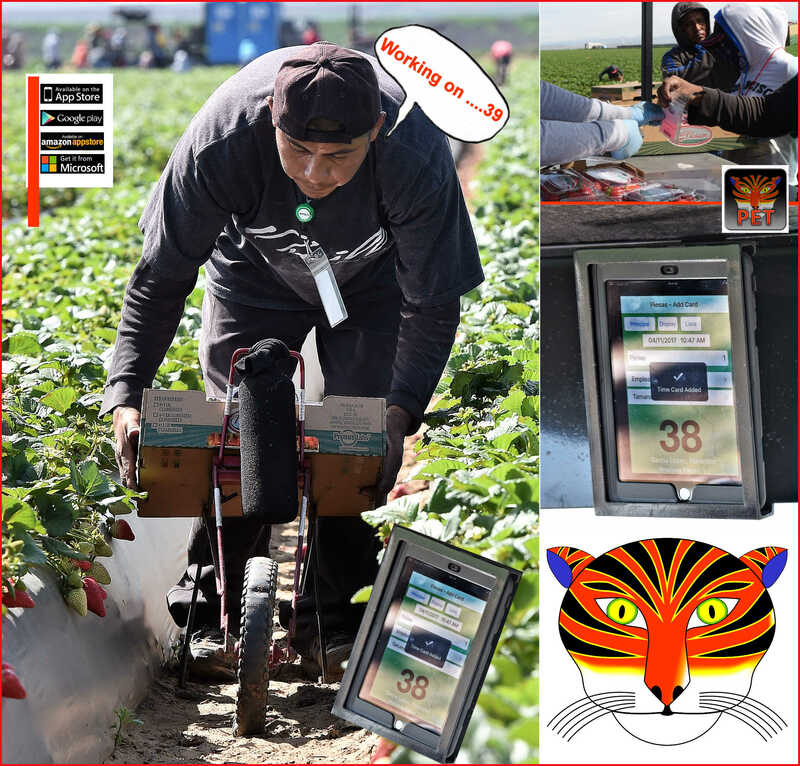 When you connect your fields to your marketing in real-time you know you are on the right path! 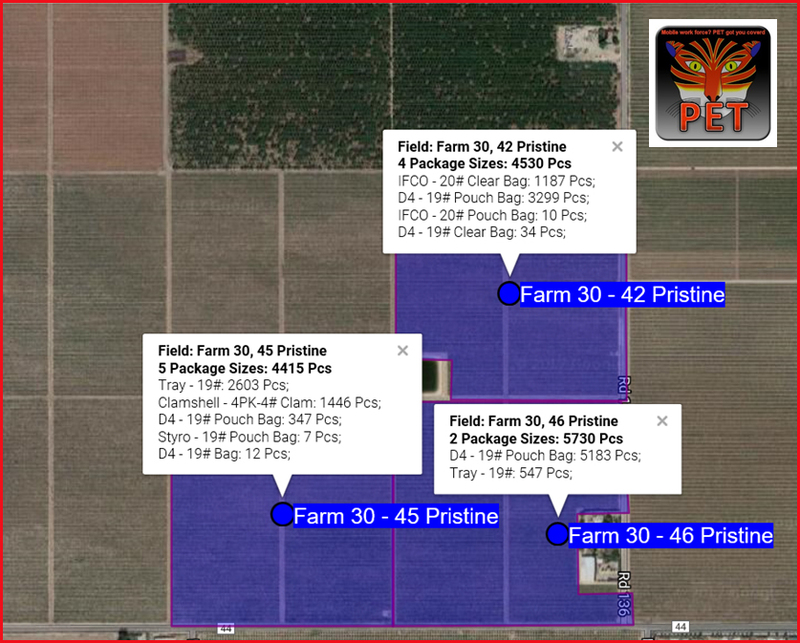 Imagine having advanced notice that production levels are on track to meet todays contract commitments! We can assist you in planing, train your staff and review your business processes. 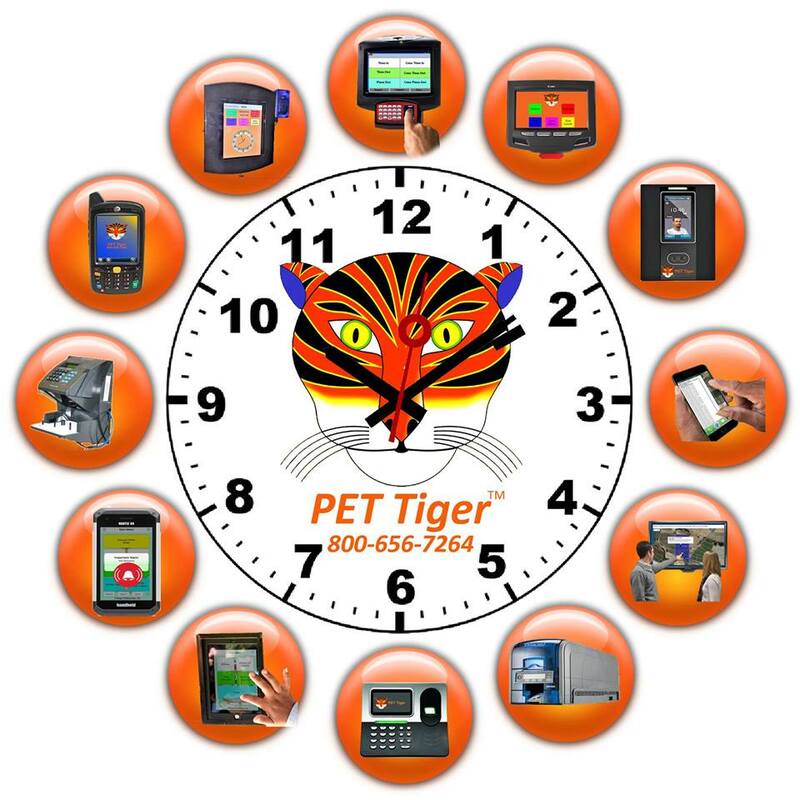 This is followed with telephone and online real-time support or on-site visits by our staff.